Hair transplantation is the method of redistributing genetically resistant permanent hair from the side and back portion of the head to the bald area. At Cosmetic Surgery Clinic, we use advanced techniques to ensure a flawless hair transplantation procedure. However strong your genetic family history of baldness may be, our experienced surgeons have the expertise to treat your problem to its roots. With us by your side, be assured of availing natural-looking results. At our clinic, we begin the hair restoration treatment of our patients with a consultation. After the consultation and examination of the patient, our doctors conduct additional tests, if necessary. Our team of specialists will give expert advice on the surgery and even tell you about the factors on which the cost of your hair restoration will depend. The surgeries performed by our team of experts have no side-effects. Furthermore, there is no age or gender bar to undergo our hair transplantation surgery. Gone are the days when only the rich and affluent class could afford opting for a hair transplant surgery. Owing to modern techniques in India, hair restoration clinics are now approached by innumerable patients. This is because the advancement in technology has made the surgery cost much less than before. Getting hair transplant in Kolkata is thus affordable for all. As a reputed hair restoration clinic, we specialise in offering seamless hair transplantation at reasonable prices. However, you need to understand that the cost of hair transplant varies from one patient to another. This is because the cost of hair transplant depends on the number of grafts planted and the area to be transplanted. 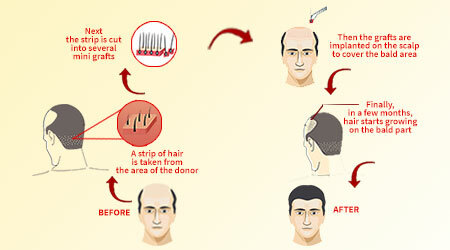 It even depends on the degree of your baldness, the amount of donor hair available and the features of your donor area. At Cosmetic Surgery Clinic, the cost of hair transplantation starts from Rs 50,000 for the initial treatment. We understand the budgetary concerns of patients and thus set the price only after determining the number of grafts you need for the surgery. Moreover, you need not worry about the quality of medical service when you approach us since we are widely renowned for offering cost-effective hair transplantation surgery. 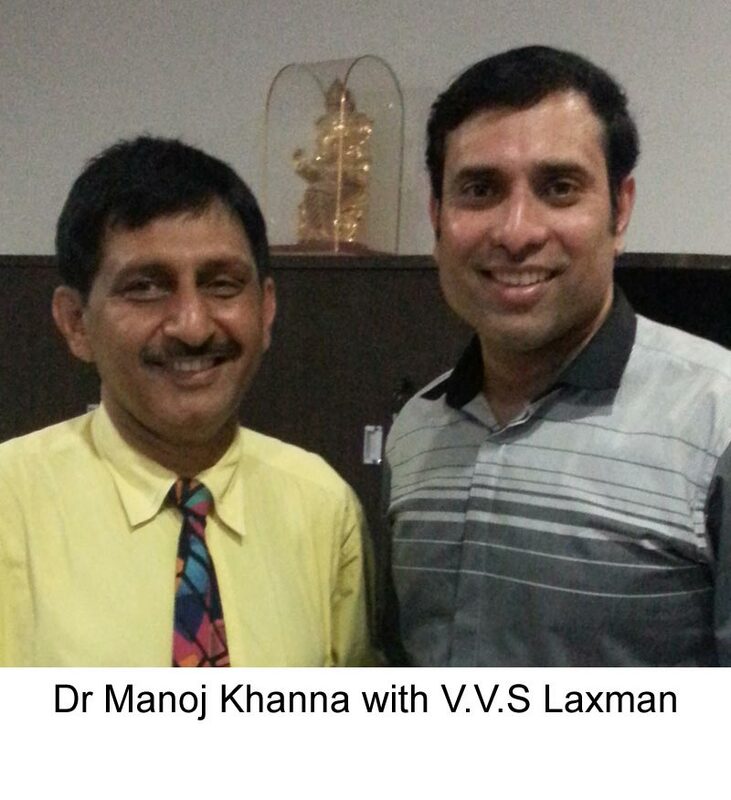 Why Should You Approach Dr.Manoj Khanna? 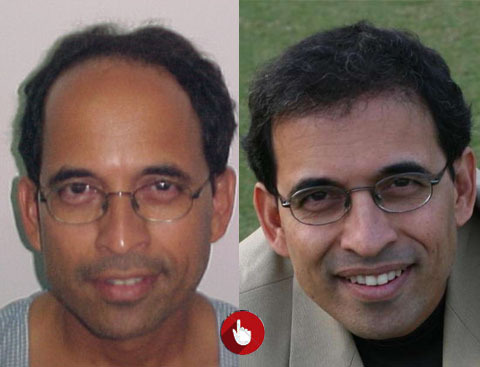 Dr. Manoj Khanna has over two decades of experience in performing hair transplantation surgeries from 1996. With his in-depth knowledge of both FUE and FUT techniques, he specialises in offering natural-looking results to his patients. Dr.Khanna and his team of experts have performed more than 6000 hair transplantation surgeries in India and abroad till 31-12-2017. Having done more than 600 female hair restorations, he is widely renowned as the best surgeon for hair transplant in females. 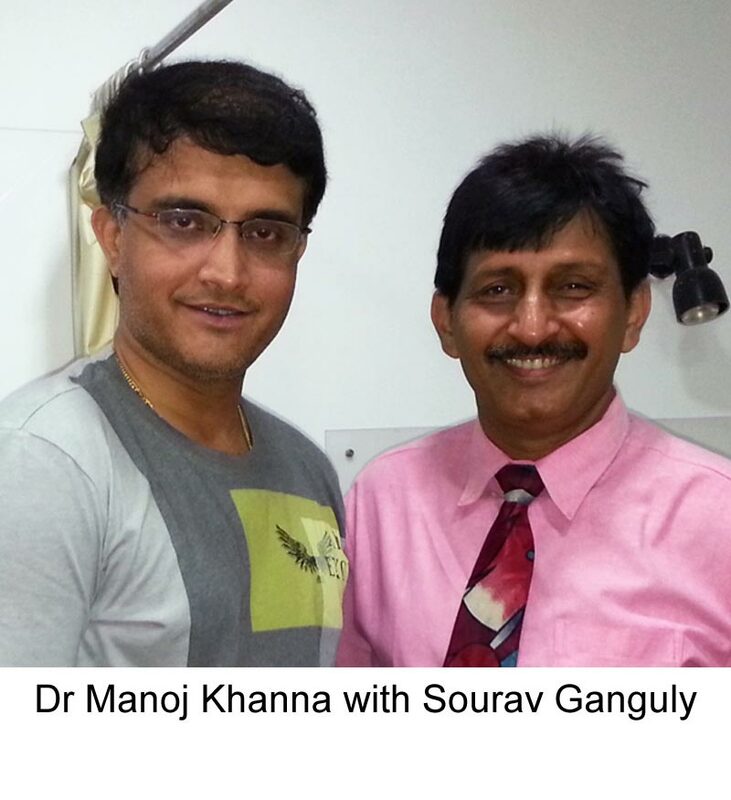 Over the years, Dr.Khanna has performed hair transplantation in India for numerous celebrities. 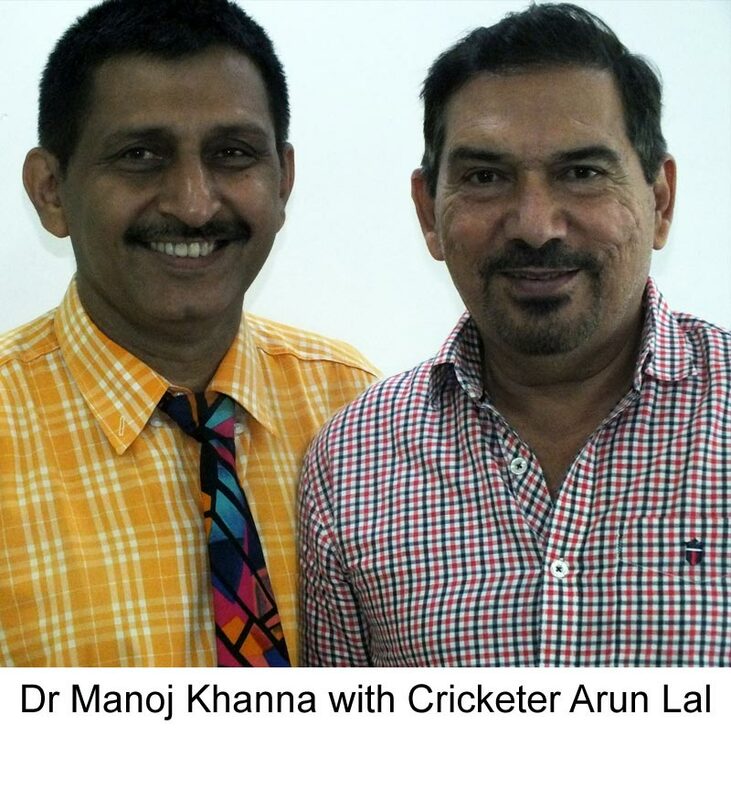 His clients include film personalities from Tollywood and Bollywood, cricketers, 3 former Indian cricket captains and most of the present TV commentators. 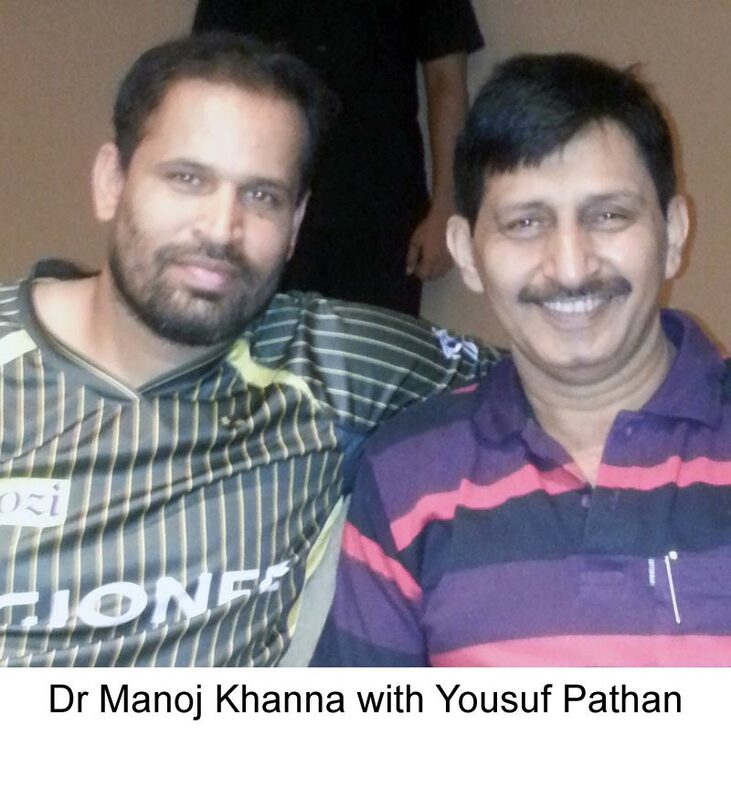 Each of his esteemed clients have benefitted immensely from his surgery. Why Choose Cosmetic Surgery Clinic? We take pride in our team of surgeons who are dedicated to offering the best hair transplantation. Our doctors have a wealth of experience in offering safe hair restoration treatments and can give you a head full of hair. When you opt for our hair restoration surgery, you can be assured of having the most natural looking hairline. Hair transplanted by us will be permanent and grow just like normal hair. Even if you use dyes on them or undergo a haircut, the transplanted hair will re-grow subsequently. At Cosmetic Surgery Clinic, we excel in offering natural looking hair transplantation surgery at prices which suit the affordability of our patients. Whether you want to opt for the FUT or FUE technique, be assured of benefiting from cost-effective surgeries. We understand that our patients belong to different walks of life and have different desires. Thus, before an individual opts for our surgery, our surgeons perform a thorough analysis of the desires of the patient. Depending on the extent of baldness, our doctors prescribe custom-formulated treatment. Our doctors put in their best efforts to ensure that they are offering completely safe and minimally invasive hair restoration process. The surgery is carried out under local anaesthesia where you are asleep or watching television or listing to music. You are kept comfortable throughout the procedure. 1. How safe is the hair transplantation surgery for me? Owing to the recent advancements in the healthcare industry, hair transplantation surgery has emerged as an extremely safe procedure. After the surgery, you will have to follow the post-operative instructions prescribed by our surgeons properly. This way, you can be assured of not facing any problems. 2. Are there any side-effects of undergoing this surgery? Well, the answer is no. While you may have a slight swelling after undergoing the surgery, you can be assured that it will fade away within a week. Due to the recent technological developments, hair transplantation has become very safe for one and all. Thus, you can reap the benefits of this surgery without worrying about any consequences. 3. When will I be able to see the results? Once you undergo the surgery, you will be able to see the outline of your hair growth after 2-6 months. However, the results will continue progressing for around 10 to 18 months after undergoing the procedure. By that time, your transplanted hair will grow fully and the bald patches will have been covered. 4. Is prior testing required in this surgery? As a reputed hair restoration clinic, we follow a proper protocol for hair transplantation. Once you come for consultation, our doctors will listen to your problems and do a thorough check-up to assess your medical condition. Routine tests will be done to check your fitness for surgery. 5. How much is the chance of success in my case? We are counted among one of the best hair transplantation clinics in India and thus you can be assured that of availing results which fulfil your expectations. Our team of well-qualified surgeons have a proven record of performing more than 6000 successful hair restoration surgeries till date. Thus, you can be assured of getting the best results from your surgery. 6. How much time will it take to undergo the surgery? Our experienced surgeons will take 3 to 6 hours for completing the restoration surgery. You go home the same day and even travel. You can go to work the next day. You start shampooing from the 3rd day of the procedure. Popularly regarded as the “City of Joy”, Kolkata is famous for its diverse culture and rich history. As the 2nd largest Indian city, the place attracts tourists from various parts of the world. The cost of living in this city is much more economic than other metropolitan cities. But, due to increasing pollution level of Kolkata, hair loss has become a common problem here, contributing to increase hair loss in the youth. No matter whether you are suffering from hair loss owing to heredity problem or due to illness, opting for hair transplantation surgery can be the most effective cure to baldness. 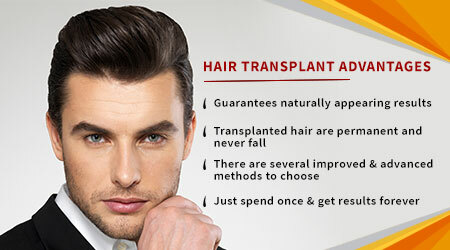 And, getting your hair transplanted by our expert surgeons can be your most appropriate solution. The fact that our surgery assures permanent results makes us the first choice for most patients who suffer from baldness. Hair transplantation is basically the process through which the best doctor for Hair Transplant redistributes hair follicles from the side and back portion of your head to the hairless area. The process is both safe and successful. Latest techniques are used in the Cosmetic Surgery Clinic so that the scar at the donor site is least noticeable. We have carved a niche in the industry by offering the best hair transplant in India and abroad which are not only cost-effective but also fast. With the best hair transplant doctor determining the number of sittings you will require for a head full of hair, you simply have nothing to worry about. The transplanted hair will start looking natural within a week or two and will grow naturally for years to come. Our hair surgeon, Dr.Manoj Khanna ensures that the procedure is painless and affordable. The hair transplant offered by us is the perfect blend of comfort and cost as our focus is always on 100% customer satisfaction. We schedule an initial consultation to assess the patient’s pattern of baldness before providing you with detailed information about the surgery and its cost. Over 1300 cases of LIPOSUCTION or Suction-Assisted Lipectomy has been completed till 2017. 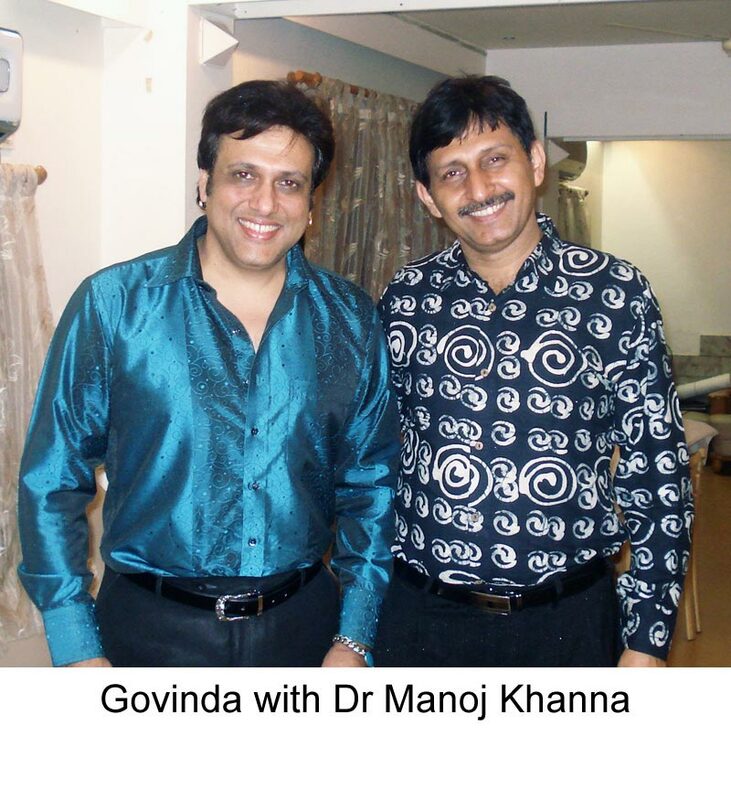 The best known Cosmetic Surgery Clinic in India is led by DR. MANOJ KHANNA,a well known Plastic, Aesthetic and Cosmetic Surgeon based in Calcutta, India. 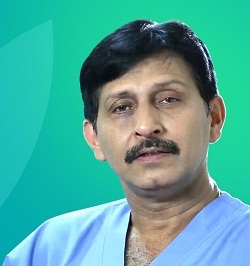 He is a Board- certified plastic surgeon, practising at Kolkata, with the highest qualifications in Plastic and Cosmetic Surgery in the country. His Clinic known as "Cosmetic Surgery Clinic" is located in a posh locality of Kolkata where Dr.Khanna conducts his practice by meeting his patients and providing treatments. 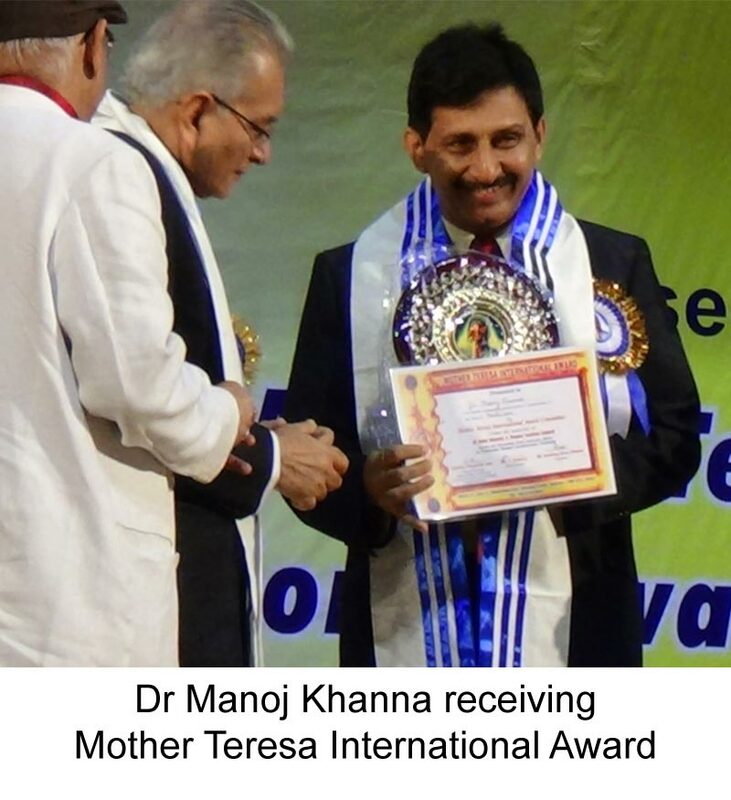 Dr.Manoj Khanna's qualifications are MBBS, MS, M.Ch (Plastic Surgery), DNB (Plastic Surgery), FICS (USA)& Fellowship (Cosmetic Surgery), (USA).Dr Manoj Khanna has been invited to give lectures and do workshops in various parts of India & abroad. He was invited to demonstrate the technique of Hair Transplant to the ‘Baroda Association of Plastic Surgery’ (2001), ‘Guwahati Medical College ‘ (2001),’Cosmetic Surgery Clinic of Raipur ‘(2002) ‘ ‘Association of Plastic Surgery of West Bengal ‘(2001) and ‘Patna Medical College’ (2002). He was awarded the First Prize for the Best Paper for his work on Hair Transplant and Liposuction at the 8th International Congress of Oriental society of Aesthetic Plastic Surgery in Bali, Indonesia in Oct 2002.